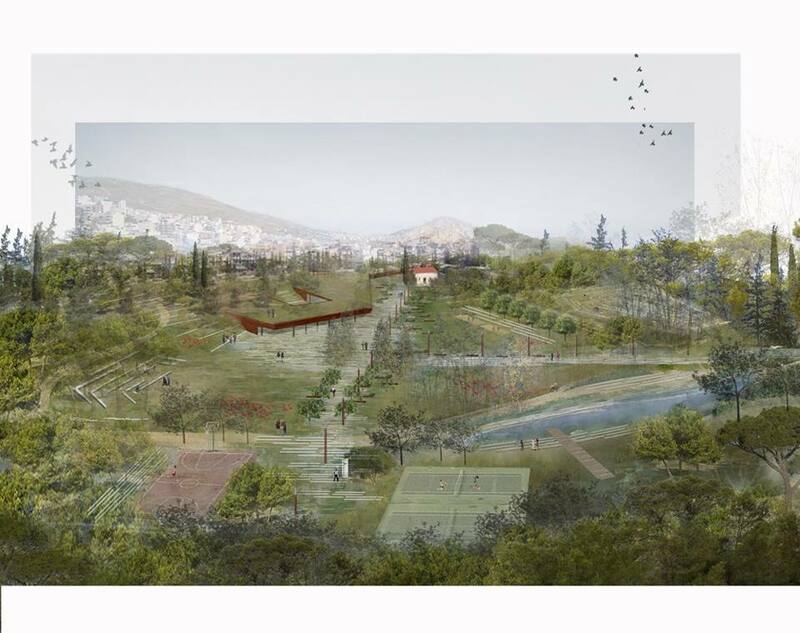 Topio7 is a professional design practice (architecture + landscape architecture + urban design) established by Katerina Andritsou, Panita Karamanea, and Thanasis Polyzoidis. 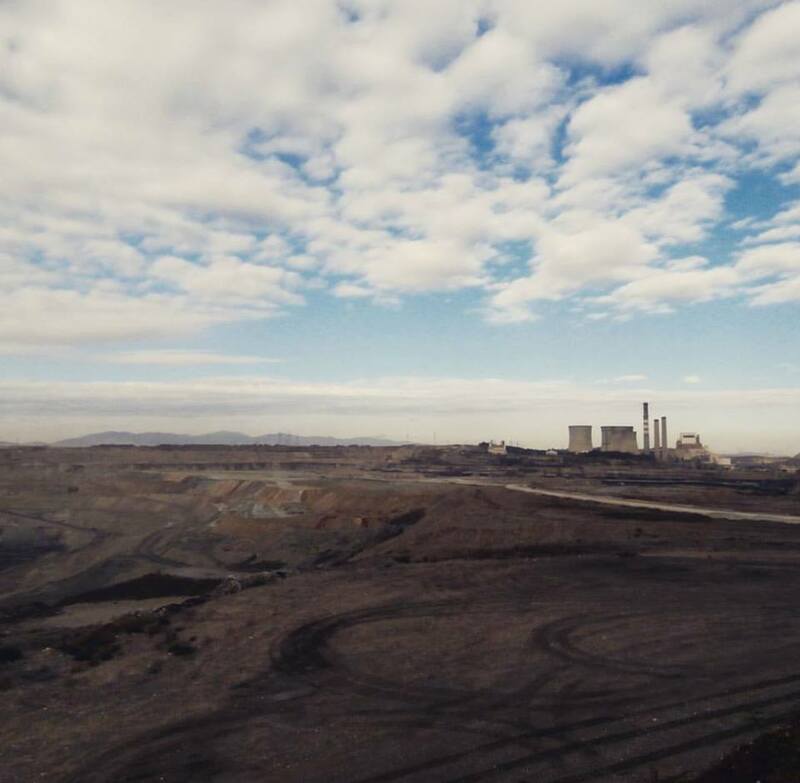 Topio7 recently released images from their competition-winning proposal to create an eco-corridor across former lignite mines in the Western Macedonia region of Greece. Despite its past coal mining activity, the 180,000 hectares region has retained much natural beauty, partly due to the site’s inaccessibility and fragmentation. 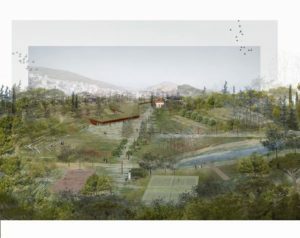 Topio7’s winning proposal, through a measured, sensitive approach, seeks to enhance the area’s natural beauty whilst creating a variety of nodes and eco-corridors to enable public interaction. The main aim of the project is to maintain the special atmosphere of the place using the unification and the integration through scales. The project acts as a strategy that is being expressed in three thematic axes: (1) biodiversity and ecological connectivity; (2) the water net; and (3) the spatial organization of movements and stops and the new uses and constructions. The evolution of the project in phases is also taken into consideration from the start. The interpretation of the existing section and the relief, emphasizing in the individual special spatial qualities of place has played a significant role. The empty space – clearings between the individual landscape areas has been considered as a spatial and ecological virtue to be maintained. The movement and rest area network has been designed to be embedded in the relief and the individual spatial qualities providing variety between enclosed and extrovert areas and viewpoints. 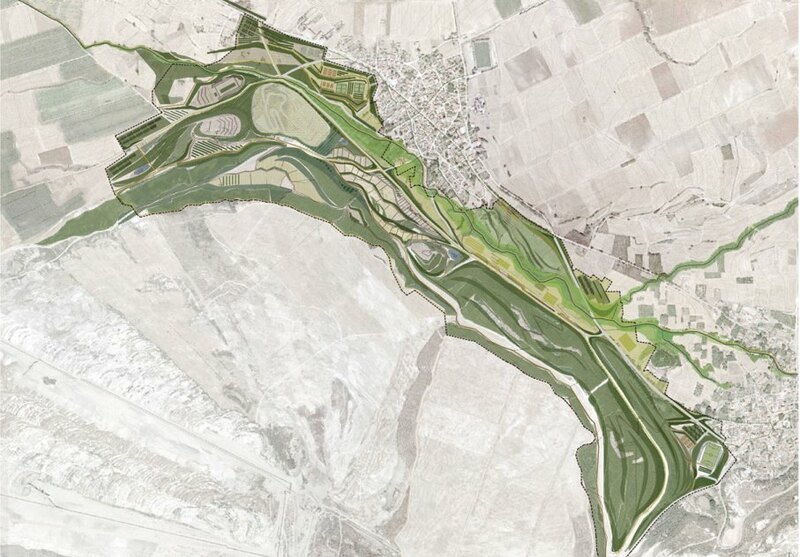 The concept derives from the longitudinal shape of the site that functions as an ecological corridor. The need for environmental enrichment and enhancement of biodiversity, has leaded to manage the landscape as a system of fluxes that organizes and connects in synergy the spatial relationships with the individual habitats. 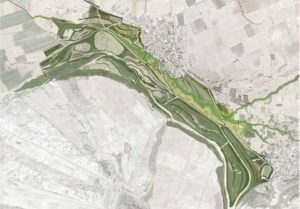 The resulting landscape is dominated by a series of ecological itineraries (eco_corridors) with different characters and qualities. The “eco_corridors” project is being proposed forming different uses in the landscape, such as cultural uses, sport facilities, cultivation, and leisure. the hills (main viewports – belvederes for the whole area and the observation of the fauna). 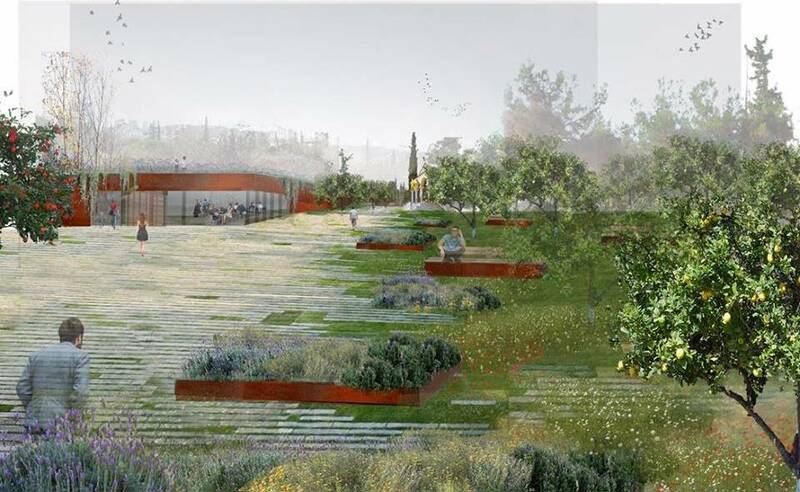 Restoration and reuse seems to be in Topio7’s blood, as they also recently won 1st prize in the Architectural Ideas Competition for their regeneration and re-use of a former cemetery of Nikea, Neapoli. See full Arch Daily article by Niall Patrick Walsh. See Thanasis Polyzoidis’ website & image credits. See Topio7 Facebook page and image credits.